Why previous years’ participants think you should apply for Focus on Management 2018! “I was recently able to draw upon the invaluable experience that I gained from this course at an assessment centre for an international investment bank. I believe that it was my exposure to business case studies during Focus on Management that best prepared me for this process, and I was successful in gaining a place on the competitive summer internship. I would highly recommend the Focus on Management course to anyone who is thinking about applying for internships or graduate schemes, as it is the perfect introduction to the kind of work you will be expected to complete at assessment centres, as well as providing you with the skills and knowledge to impress employers in the future. “Focus on Management was marketed as an opportunity to network with some of the brightest sparks of UCL’s student body – and they were! It was a practice run at many of the exercises that one might find at an assessment centre. The opportunity to work with other students to solve these exercises helped me develop a greater awareness of my own skills as a leader and team-worker. “I found out about Focus on Management after seeing an email about it from UCL Careers and there was a part of me that almost didn’t apply – but I am so happy that I did! …the course prepared me for my upcoming assessment centre at a professional services company far better than my individual research or any practice interviews I did. It challenged my thinking and allowed me to practice vital presentation skills and teamwork exercises in a realistic context. “Since completing the Focus on Management 2017 course at UCL, I took up a position as a Research Assistant in Neuroscience at the University of Oxford. The skills I developed on the 2017 course is useful for my current work. The ability to effectively work with others has led to a number of collaborations with other research groups within the institution, and we are now looking further afield with abroad collaborations, particularly in the US. Skills developed in effective planning and commutation has helped me complete high volumes of work quickly and reliably – only 6 months into my work I am shortly ready to submit two papers for academic publication, as well as writing a number of neuroscience articles for local and national neuroscience associated magazines. Most vitally, skills developed in public speaking (and in listening/reflection) has greatly affected my current work. I am due to present my research from Oxford at the Federation of European Neuroscience Societies (FENS) Forum in Berlin, Germany. Plus additional talks are scheduled for the UK, such as at UCL in May 2018. Go to http://www.ucl.ac.uk/careers/focus for more details and application instructions. If you’re passionate about the environment, UCL Careers’ Environment and Sustainability Week from 8th Feb is a must. Whether you’re looking for a volunteering position while you study, want to find out more about how to work in conservation and biodiversity, or are keen to develop your networking skills to break into this competitive sector, there’s an event for you. 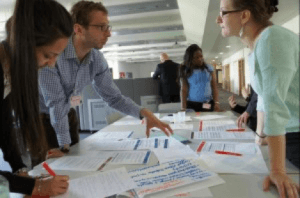 As well as the chance to meet a really diverse range of professionals, from Green Alliance to the National Geographic Wild, we’re also very fortunate to have Forum for the Future coming in to deliver a practical workshop on System Innovation, so you can get stuck in to solving some of the greatest sustainability challenges. For those of you who know you want a career that benefits the planet but aren’t yet quite sure what that might look like, our Green Careers Discovery Evening on Tuesday 9th February offers a lively and dynamic introduction to a whole range of different areas of work via group speed-networking. With organisations such as the Department for Energy and Climate Change, Mott Macdonald and Ofgem represented, this is a great chance to get to know people working in exciting environmental roles and hear their tips for how you can launch your career in the sector. We’re even offering a workshop on networking skills the day before to help you make the most of this valuable opportunity. And once you’re ready to apply, you’ll want to make sure your CV is up to scratch, so we’re putting on a workshop to help you see your CV through the eyes of the environmental sector employer. So what are you waiting for? Sign up and find your path to a fulfilling career in sustainability. Places are strictly limited so early booking is recommended. The UCL Careers Charities & NGO’s themed week is approaching and we have a host of charities and non-for-profit organisations taking over the UCL Careers library on Thursday, 4th February to answer all of your questions at our networking event. Networking can be an incredibly powerful tool in your job search so it’s important that you do it right. Below are some useful tips to consider before attending the event. There will be a full list of all the organisations that will be attending the Charities & NGO’s Networking Event on the events page of the UCL Careers website, so make sure you do your research about the organisations that are attending. Find out who they are, what they do, any of their recent projects, etc. Not only will this help you build the basis of your conversation, you can impress them with your knowledge of their organisation, and remember: first impressions count. It’s always a good idea to set some goals before the event to help you stay focused. Think about what you want to find out at the event and the reason you want to attend e.g. finding out more about a particular role, advice on getting into a particular sector. When doing so make sure this information isn’t available on their website, meaning you will come away with some really valuable information! The key to be being interesting is to be interested. So ensure that you prepare some good questions ahead of the event. This way you can structure your conversation giving it purpose and flow and avoiding any awkward silences. In the charity and non-for-profit sector your passion is incredibly important so may sure you ask some thoughtful questions that reflect your interest. The networking event will be a rare opportunity to ask questions that you normally wouldn’t get the opportunity to ask so preparation is key. Don’t ask for a job! Networking is about gathering information – not asking for jobs. This is a classic mistake which people tend to make and does not go down well with employers. Instead you should use this opportunity to discuss ideas and present your skills as people are much more likely to respond to your enthusiasm and understanding. Talk to the professionals about how to find vacancies and how to keep updated with their recruitment opportunities. This may help you to discover unadvertised vacancies as well as getting some tips along the way whilst maintaining professionalism. Though important, there is so much more to working in the charities and NGOs sector than shaking a tin, volunteering or delivering aid to those in need on the frontline. Many charities and NGOs are run as professional businesses that carry out functions such as research and lobbying, as well as raising and redistributing funds. In the pursuit of addressing human or environmental needs, the sector can be intensely competitive in terms of attracting media attention, funding and other resources. Most non-profit organisations rely on paid staff as well as volunteers and the sector attracts intelligent people with a passion for their work. 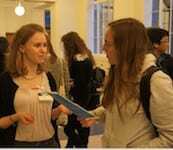 UCL Careers Charities & NGOs Week aims to dispel some of the myths that surround working within this sector. Through a series of four events, the themed week will provide students with an opportunity to gain a deeper insight into the the diverse range of roles available to them, from campaigning and policy work to international development and disaster relief. The interactive session on how to prepare persuasive applications will help students to demonstrate their motivation and enthusiasm and ultimately increase their chances of job success. The final event in the series will provide an excellent opportunity to network, be inspired and pick up some top tips from the experts, who are currently working in the sector. Sprint is back at UCL this February, after yet another successful year. Sprint is a well-established development programme for undergraduate and graduate women at the early stages of their professional development, from all backgrounds and ages. It provides a tool kit to help female undergrads be empowered to achieve their potential. The programme enables participants to take hold of their personal ambitions and develop a network of mentors and peers. Whilst the programme is open to all, those at the beginning of their career or with little work experience will benefit the most. Originally pioneered at University of Cambridge, with more recent programmes run at the University of Oxford, UCL and City University have co-hosted a number of successful programmes. The results have been amazing – over 90% say the programme has changed their lives and they feel more positive and better in control of their career decisions as a result. The programme is co-sponsored by The Royal Bank of Scotland and Microsoft. 16th, 17th, 18th February and 22nd March 2016 at UCL. Applicants will need to submit a CV and a 300 word letter detailing why they wish to participate in the course. Applicants will be shortlisted according to clear evidence that they have thought about their future career, why they wish to participate in the course, and how it will meet their development needs. Whilst the programme is open to all, those at the beginning of their career or with little work experience will benefit the most. Please email your application to Kathryn Goodfellow (k.goodfellow@ucl.ac.uk) and Rhiannon Williams (rhiannon.e.williams@ucl.ac.uk). The deadline for applications is 9am on 25th January 2016 and successful candidates will be informed within a week of the closing date. Our Getting into Publishing panel discussion on Tuesday 1st December 2015 provided attendees with fantastic insight into this sector including industry trends and hot topics, typical roles and responsibilities and how to stand out as an applicant. Catch up on key points from this discussion below and read about the panellists in attendance here. > Panellists extolled the benefits of gaining work experience in smaller and/or independent publishers where you can get varied hands on experience and insight. There are very limited places on graduate schemes with major trade publishers (for example, only 4 places at HarperCollins) so being open to working in different roles in a wider range of publishing companies is encouraged at the start of your publishing career. Building up wide ranging work experience in different types of publishing companies is a positive. Don’t just go for trade publishing (it is considered by many the most glamourous) but consider other types, such as scientific manuals and journals, academic press or working at literary agents. > Useful resources recommended for finding out about companies and hot topics in publishing are the Writers and Authors Yearbook, Bookseller (especially the jobs board) and The Society of Young Publishers. A useful event is the Futurebook annual conference. > Don’t focus too much at this stage on getting a particular role in a particular company – it’s about trying to get a starting role. It’s a lot easier to change jobs within the industry once you’re in and move between imprints within a parent company. Try to be well-rounded and open to different roles at the start. At the very least, you’ll be able to appreciate what each job role does even if you aren’t good at it when you try it yourself – what makes someone good at one area (i.e. production) makes them terrible at another (sales)! agents. > Build your awareness of which books and publications are linked to which publishers, their body of work, key successes. An industry trend is that many major publishing houses have acquired lots of smaller companies (called imprints). > Key skills required for publishing roles are relationship management, project management and attention to detail. Relationship management examples were given of sending each bookstore manager a personalised book choice with an individual note, maintaining relationships with authors and with key individuals in different internal departments. A suggestion for building relationship skills is to listen to conversations during any work experience and see how publishing professionals deal with situations / respond to clients. Project management is also an important skill as essentially you will be looking after several projects simultaneously, for example various book launches. > Nobody mentioned reading when discussing their jobs. Panellists stressed that you have to love reading to do the job but you won’t just be sat reading all day, there are lots of other parts of the role involved which make the reading happen for other people. > Panel quote: “the written word is our life blood” – applications with any spelling or grammar mistakes will not be considered! – self-publishing is more prevalent but tend to be lower quality publications than those published by established publishers. > Two of the panellists now work as freelancers. With freelance work, you have to have an established base of clients and credibility, but your hours are your own. Most people move to freelance editing after building up contacts and a reputation in the industry. Calling all students interested in volunteering in the medical sector – UCLU’s Volunteering Services Unit is holding it’s first ever Health Volunteering Fair on Thursday 19th November, 5-7pm. Come and find out more information on the many diverse roles available and how you can make a real difference to people’s lives through volunteering. Exhibitors include Centra Volunteering, Hestia, The Camden Society, Motor Neurone Disease Association, Centre 404, Resources for Autism, VoiceAbility and more. The team from UCLU’s Volunteering Services Unit will also be on hand to answer your volunteering questions. The event is catered, so you won’t need to miss dinner! You’ll find us in the Haldane Room, off Wilkins North Cloisters, from 5 – 7pm. At UCLU’s Volunteering Services Unit, we’ve got so many activities on offer that we couldn’t fit them all into one fair- so we’re having another one on Thursday October 29th, 12 noon – 3pm, Wilkins South Cloisters. With 40 different recruiters, including: Age UK Camden, English Heritage, Westminster Befriend a Family, London Youth Games, Marchmont Community Centre, North London Cares, Parkinson’s UK, National AIDS Trust, London Air Ambulance, Macmillan Cancer Support, Camden Citizen’s Advice Bureau Service, The Foundling Museum, Latin American Disabled People’s Project, The National Autistic Society, and more. Volunteering is a great way to discover London, meet new people and learn new skills whilst making a difference – so come along and find out what it’s all about. 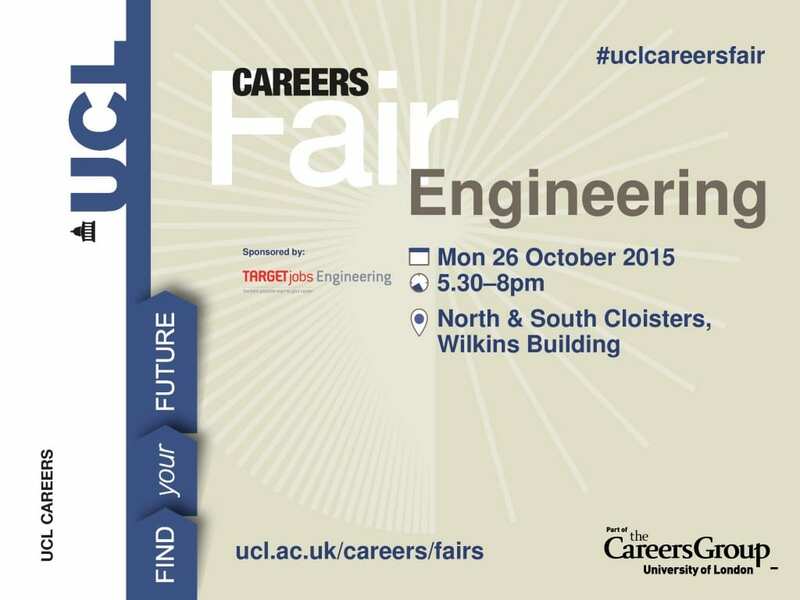 The IT and Technology Fair 2015 is kindly sponsored by EE and Cisco and takes place on Wednesday 21st and Thursday 22nd October, 5:30 – 8pm, North and South Cloisters.